Mostly dry on Monday. Then more rain and snow for all of Northern California starting on Tuesday. 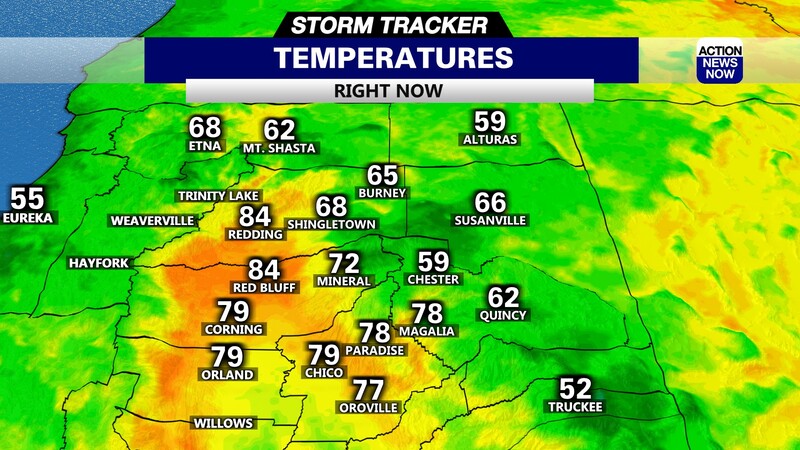 Sunday was a relatively quite day weather wise across Northern California, at least compared to how the weather has been recently. Snow showers did continue in the mountains on Sunday although they are mostly lighter amounts of snow and the Winter Storm Warning has been lifted. 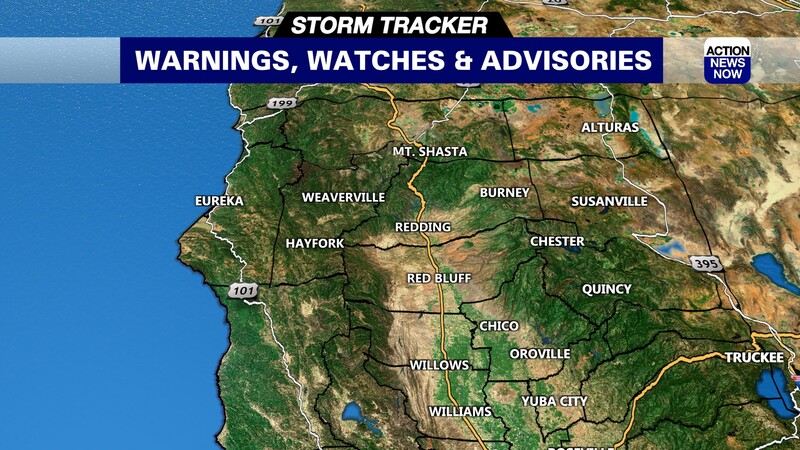 There were also a few reports of snow flurries near the valley floor around Redding this morning, but nothing stuck. And for the most part the Valley was dry on Sunday. Monday will be a transition day as the next storm winds up and heads toward the North State. On Monday the day will be mostly cloudy and light snow showers are possible in the mountains and fooothills. And once again a few flurries may fall as well around Redding. 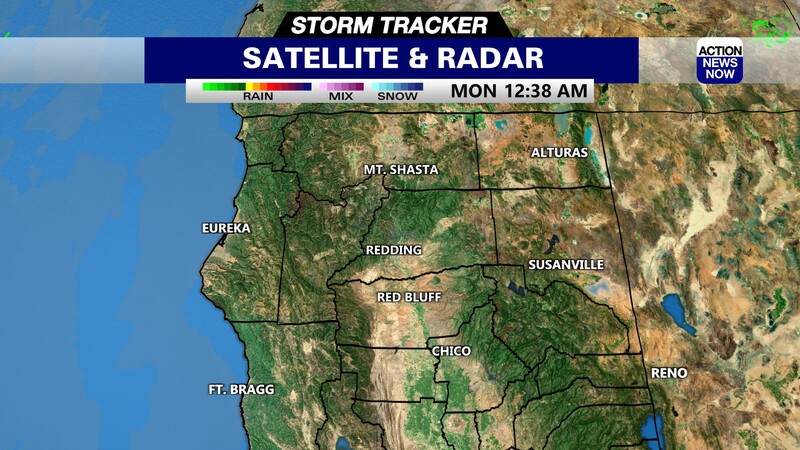 Scattered showers are also possible in the valley on Monday mostly north of Red Bluff. On Tuesday the next significant storm surges in. This system will combine a cold low pressure area out of the north with an Atmospheric River (or Pineapple Express). This will bring warmer and much wetter weather our way. Look for the rain to turn heavy at times Tuesday night and Wednesday, and all the way into Thursday with snow levels rising back up but it will still be cold enough for plenty of mountain snow above 4000 feet. We'll dry out a little and turn partly cloudy later on Thursday but there's more rain coming near the end of next week!